Written at a time when furious arguments are raging about the best way to govern America, this title aims of persuading New Yorkers to accept the newly drafted Constitution in 1787. It makes a case for power-sharing between State and Federal authorities and for a Constitution that has endured largely unchanged for two hundred years. 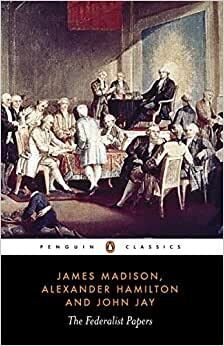 Start reading The Federalist Papers (Illustrated) on your Kindle in under a minute. Isaac Kramnick is Professor of Government at Cornell and introduced the new edition of Democracy in America for Penguin Classics. 1.0 out of 5 starsThis Publication only contains 18 of the 85 Federalist Essays. I guess I’m a little confused. There are supposed to be 85 essays in the Federalist but this book only has 18. I don’t see a description of the book that warns of this. Am I missing something? The introduction talks about all 85 essays as if they are all in this publication. Nothing in the product discription warns that this publication only contains an abreviated list of the essays. 5.0 out of 5 starsOnly selected papers, not all of them. It should be noted this does not include ALL of the Federalist Papers. It is a selected few, which I didn't notice when I bought it. I wanted them all sor study purposes, so I got another paperback with all 86 papers for 1/2 the price at a bookstore. 5.0 out of 5 starsA great resource with all 85 papers! Most books with the Federalist Papers that I could find only had a selection of them included. This book contains all 85 and also lists who wrote them and when they were published (if that information is available). It also has a fairly decent Table of Contents so you can easily find the paper you're looking for. The constitution is also included at the beginning which some people might find handy. Overall exactly what I was looking for. Would buy again. It contains all of the papers that I didn't receive from the The Complete Federalist and anti Federalist book I purchased before. Now I can read all of them!